No matter how impressive a hotel looks from the outside, it's the details that really matter. Was the check in and out fast? Was the concierge as helpful as he or she could have been? Were the food hours convenient? But also, was the room comfortable? Were the light switches easy to use (it sounds banal, but it can be infuriating)? 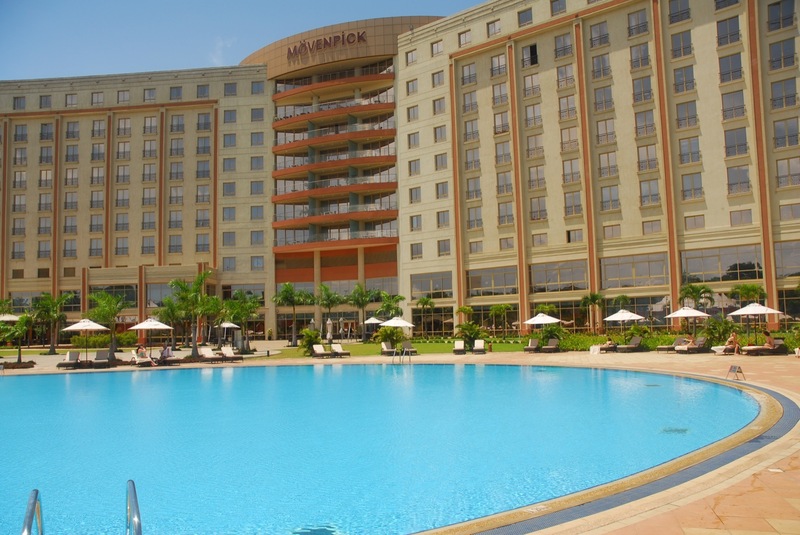 It's an area hotels in Accra have suffered with in the past, particularly the service - something that should be spot on given the price that many hotels are charging. Yet there are a few hotels that are concentrating on the details, and a stay making homely, but doing it with panache. 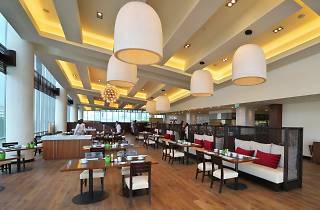 All eyes at the moment are on the Kempinski, the latest opening and stunningly designed. The building itself is based on the Compound houses, commonly built by tribal chiefs across West Africa, with the residences built around a central courtyard with shaded seating areas and a performance pavilion. US architects PageSoutherlandPage have built in 269 rooms, a retail space, lounges, restaurants, a large spa with ten treatment rooms, swimming room and tennis courts, among other facilities in the complex. Connecting the main lobby to the ballroom and function spaces is the 'Butterfly' building, named for its butterfly shaped roof. Inside, Looney & Associates have melded contemporary West African design with internationally recognisable amenities. 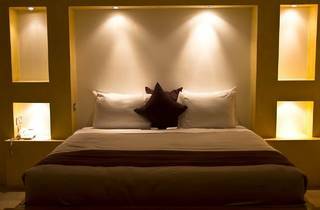 All the lighting and furnishings are custom designed for the hotel. 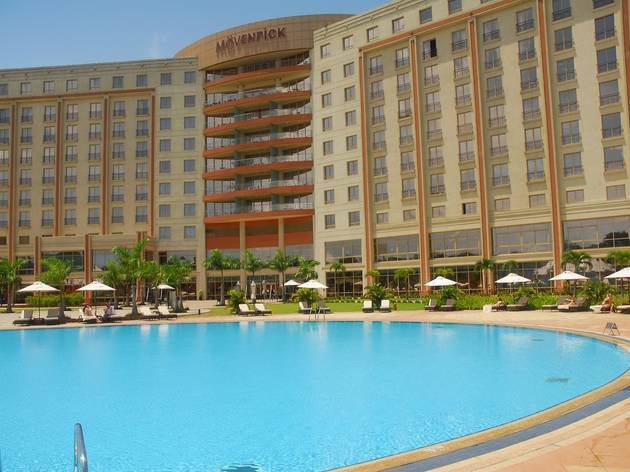 It's been the Mövenpick that has got most of the attention in recent years. After opening it quickly become Accra's hotspot for the well-heeled. 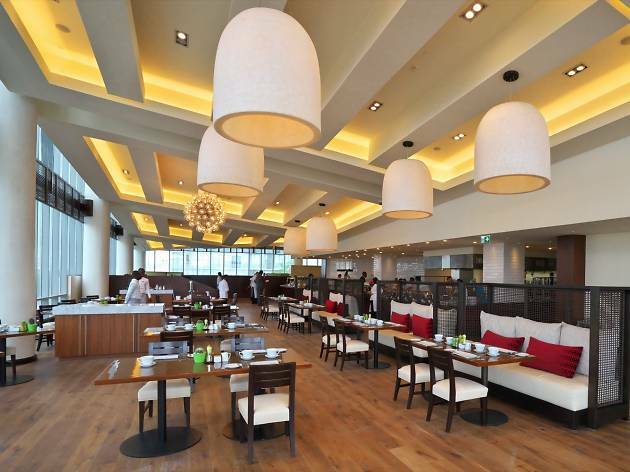 A large airy lobby, restaurant and bar, and that pool - unmmissable - make it a superb option. It should be said service here is among the best in Accra. Two other smaller hotels should also be mentioned for excellent design. 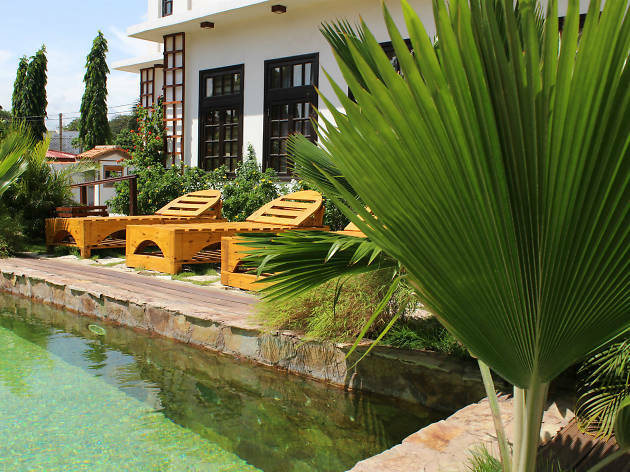 La Villa Boutique should be celebrated for creating a gorgeous retreat among the bustle of Osu. Its rustic chic look, while not ground-breaking, is certainly a refreshing change from the 'could be anywhere' style of many hotels. Similarly, the Olma Colonial Suites has loads of space, are very well appointed and homely. 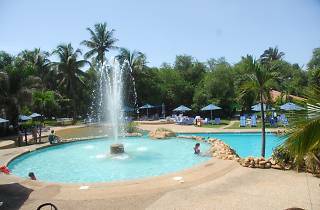 The newly refurbished Labadi Beach Hotel – never one to rest on its laurels either – remains one of the best hotels in Ghana. 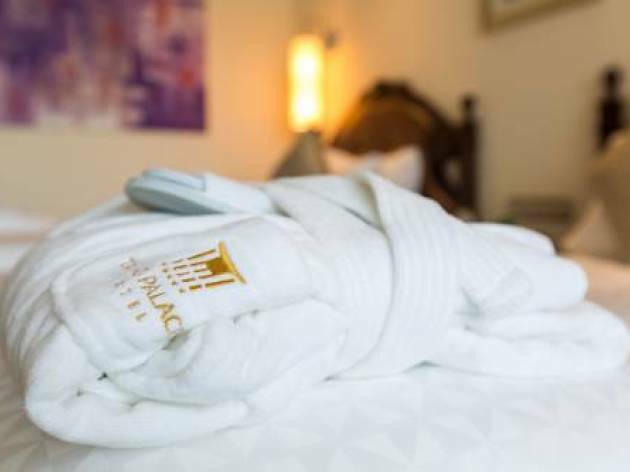 There are also a host of new openings too, and one of the highlights is the Tang Palace Hotel, a new luxury residence fairly close to the airport. Out of town then we've been very impressed with the overall design of AquaSafari – large spacious villas – and the rooms of The Royal Senchi are to a very high standard and well considered. Lansdown Ibru Heights is also a remarkable spot out towards Aburi that manages to be both pleasantly hidden away while being very luxurious. Also pretty new is the Best Western Atlantic Hotel out in Takoradi. 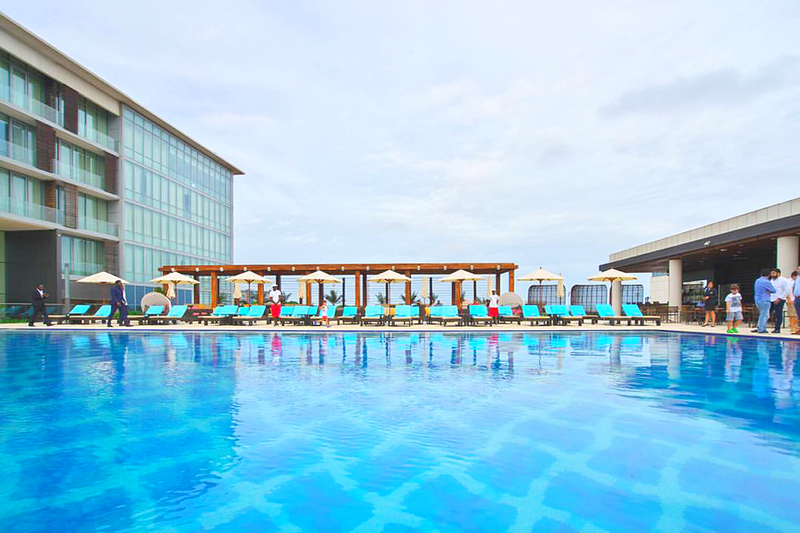 It's a thoroughly modern, spacious hotel with a great pool area. Design lovers will enjoy the chalets most. 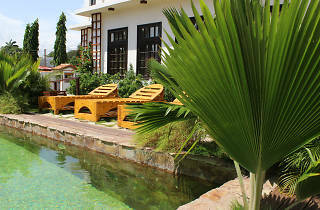 Finally, AquaSafari on the estuary of the River Volta is a stunning location, and have been very generous with space. The beach front chalets are as inviting as the pool. But it's not going to stop there – there are new openings planned with the Hilton, Marriot and something else very special all in the pipeline. 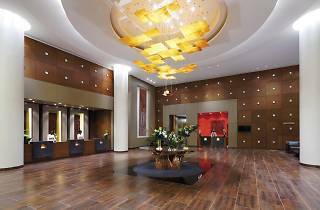 Good things come to those who wait.. Well, finally, the much-delayed Kempinski Hotel Gold Coast City has now opened to compete for top billing with Ghana’s very finest hotels. The Gold Coast City Hotel is from the Kempinski group that has a global reputation for doing things in style, this is no exception. It marks the brand’s West African debut and is a dazzling addition, with a complex spread over 35 hectares and comprising numerous buildings, including commercial and residential towers organised along a ‘broad boulevard and esplanade’. The hotel itself will have 269 rooms, all at least 50 sqm in size, including a pair of seriously snazzy presidential suites. 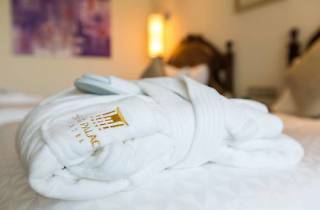 Guests can also enjoy an extensive spa with 10 treatment rooms, a hammam, yoga studios and a fully kitted-out beauty salon. Other hotel features include an organic food bar, a cocktail bar, tennis courts and a flashy outdoor pool. In addition, there will be seven meeting rooms with the latest audio-visual equipment, a number of outside meeting areas and a conference centre measuring 1,750 sq m.
Labadi Beach has always been one of, if not the, highest end hotel in Ghana, as the wall with photos of staying digitaries attests. But in the light of new openings, it has had to up its game - and it has. The main changes is out the back with a new and incredibly inviting pool and a full, new conference and events centre. Also upgraded is the gym. 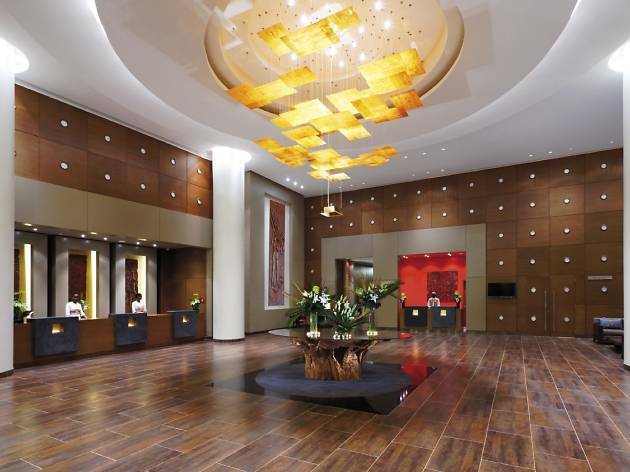 It has retained its cool – the lobby alone is all ceiling fans, dark leather sofas and gold-coloured standing lamps. 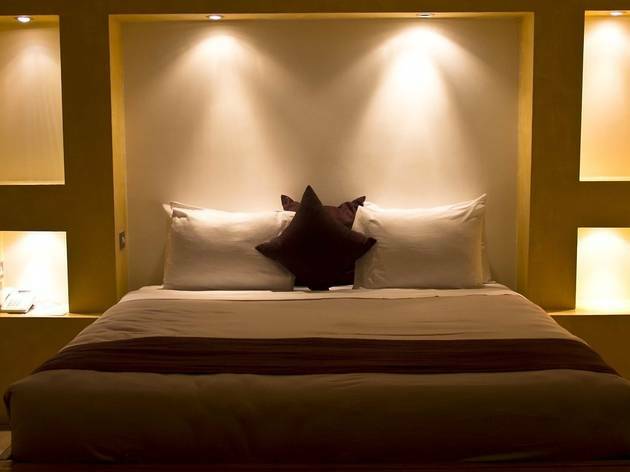 The property’s pristine rooms and luxury suites, all fairly recently renovated, come with a private balcony. There’s also floodlit tennis courts, volleyball court and table tennis equipment; sauna and massage services are also available. The resort has two bars and a restaurant to choose from. 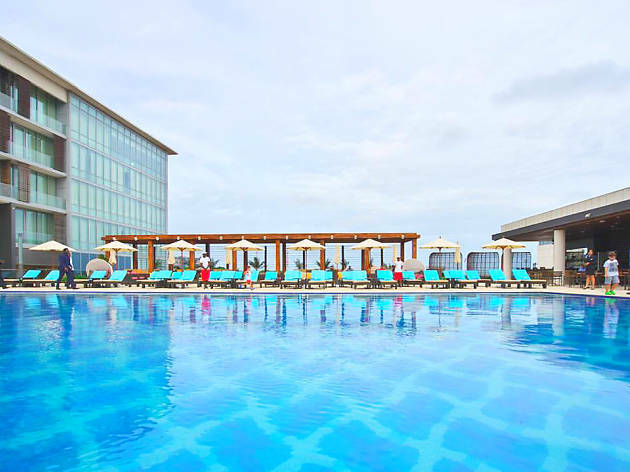 Backed by palm-studded grounds and a sweeping azure pool, Accra’s newest luxury bolthole is certainly living up to its hype. Waiters on roller blades glide across the gleaming patio, supplying fresh snacks and icy drinks to holidaymakers stretched out on loungers around the pool; the onsite luxury shopping centre is filled with high-end goods, from bold fashions at Nonterah to Afrocentric homeware at Joe’s Perspective (see p54); Sankofa restaurant pleases with an array of international flavours, and the cocktail lounge expertly whips up any favoured tipple. At the time of writing, the only slight downside to Mövenpick is that it feels a little like a new pair of shoes – shiny and impressive, but ever so slightly stiff. But with the stream of visitors surely on their way, its edges are set to be softened very soon indeed. Located 6 km from Independence Square in Accra, Tang Palace Hotel features free WiFi access and free private parking. The hotel has a year-round outdoor pool and terrace, and guests can enjoy a meal at the restaurant or a drink at the bar.All rooms come with a flat-screen TV with satellite channels. Certain units include a seating area where you can relax. Some units feature views of the pool or city. Rooms come with a private bathroom fitted with a hot tub. Extras include slippers and free toiletries. A TV is featured.You will find free shuttle service and hairdresser's at the property.The hotel also offers car hire. Kwame Nkrumah Memorial Park is 7 km from Tang Palace Hotel, while Accra Sports Stadium is 6 km away.